Rachel has always wanted one thing, true love. She has dreamed about her perfect wedding since she was little and it seems she will finally get it with her fiancé Ethan. However when Rachel meets Tom, an elegant, smart conceited lawyer, everything she believes and feels is called into question. This is a captivating story about the power of distance, lack of time spent between couples, and confusion that put Rachel In Between the two men. Caught in the web of the consequences of their decisions, life’s twists and turns, and the effects of karma on each of the characters. This book will make you question the reason why we do things, and will push you to side with characters as you live through their choices. 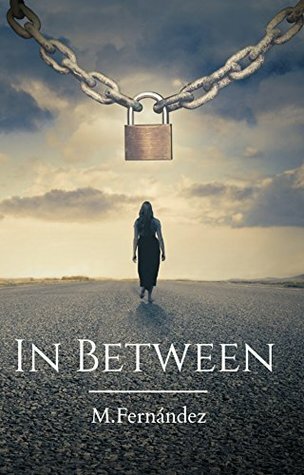 In Between emphasizes the importance of bonds, true love and the power of forgiveness, and how these can turn the worst of situations into valuable life lessons of love and hope. When I love two very different men equally, how can I choose one over the other? I don’t think I ever had to choose, because even though I may not have realized this at the time, my heart and mind did. I chose long ago whom I truly loved. Which is why I ended up with one and not the other. I never had a chance of making the right decision if I had chosen myself, but that’s the funny thing about life sometimes it helps you identify the right decisions and that’s what happened with Ethan and Tom. I can definitely say with out a doubt that my mind and heart always knew what was best for me, and I couldn’t be happier with how everything turned out. Fact: for every action, there is an equal and opposite reaction. In the yearbook, I’ll be Sophia Ramos: Valedictorian. Years of honor roll certificates, AP classes, and lugging around an obnoxiously large cello case are about to finally pay off. If everything goes according to plan, I’ll escape these decaying suburbs for a top university across the country. The problem? A few years ago, my mom met someone just as broke, just as drunk, and just as impulsive as she is. Approximately five seconds into their relationship, they decided it would be an excellent idea for him—and his son, Dan—to move in with us. (Spoiler alert: it wasn’t). Now I share a house with none other than Daniel Cole. Even though Dan dropped out two years ago, he’s still the tattooed, bad boy, heartthrob, legend of St. Anthony’s Academy. He and I aren’t supposed to have anything in common. Living together means war. First, Dan and I were at war with each other. Now, our rivalry is giving way to an unlikely alliance—two opposing sides teaming up against a common enemy: our respective parents. Which is to say, we’ve been hanging out. Question: What happens when an unstoppable force meets an immovable object? Here’s the thing: My brain is a complex organ. One hundred billion neurons, each with an average of seven thousand synaptic connections to other neurons. My brain is my ticket out of here. My heart, by contrast, is a pump. It moves blood around. I know Dan is off-limits. I know I shouldn’t do something I’ll regret. And I know how much is at stake (my family, my future). Even though I know better, I feel that pounding in my chest. And it’s getting harder to ignore. But if I follow my heart, I can never go back. Answer: There is no such thing as an immovable object. What will I read next- The ghost downstairs. After making a fatal mistake on the job, Lina Zuendel seeks shelter in a Seattle assisted-living facility as their live-in nurse. But peace is not what she finds. 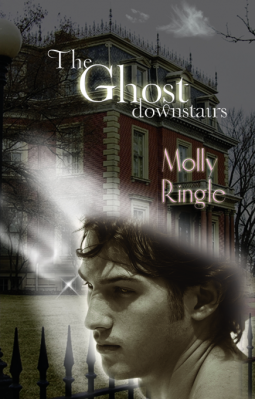 She soon hears tales of ghosts haunting the house, and of two tragic deaths that took place in the 1930s. Unexplained events send her to ask questions of the handsome resident houseboy. As their attraction grows, so does the intensity of the paranormal activity. Can their love survive the mysteries that lurk in the old sorority house? Every doctor told me I’d never have a baby. But after just one night, I’m pregnant with his little miracle. Elias Weaver is the kind of guy I should avoid. He’s the mayor’s son, and his bad boy reputation makes me nervous. But I put all that aside for just one night, and I make the best mistake of my life. He gets me pregnant. It’s a one-in-a-million chance, but of course it happens to me. I’m having his miracle baby, but I’m not sure that I’m ready to be a mother. We barely know each other. He’s handsome, cocky, funny, and completely blew my mind in bed, but I’m drowning in debt and barely able to take care of myself. He wants to step up and be a father. More than that, he wants me. I decided to give my baby up for adoption, but he’s starting to make me reconsider. Everything about him drives me wild. His touch, his stare, the way he laughs as his hands slide down my back. He’s not letting go without a fight. He’s going to remind me why I gave myself to him that first night. If he keeps touching me, I just might give him everything he wants and more. #1 best seller in military romance. A town run by the mafia, a dirty mayor that owes them. A mayor’s son trying to survive the sins of his father meets a young woman who will make him feel whole. Hello all my beauty lovers, I am bringing back my makeup reviews, hauls and used products. Tried and tested. I always buy a mixture of high end and drug store, and now I feel I am getting used to the sort of formulas I like I feel I am more than ready to show you my tips, tricks and all time favourite products. Today I had a good look in my makeup drawer and thought, I do not use half of this makeup and it’s taking up so much room. Today was the day to remove the makeup I have tried and disliked or just not used for a LONG time. All the products in the picture above have probably been in my drawer for as long as 1-4 years (hides face in shame). I know I know 4 years is a bloody long time to not use it all. I am trying to teach myself to use eye shadow more and create some new eye looks. This is a huge lesson for me, I am no way going to start looking like those beauty gurus on Youtube in a LONG time. Hence why a lot of the above makeup is eye shadow palettes. Smashbox palette with 30 eye shadows, 3 blush and 1 contour shade- lovely palette, amazing. I just never used the bold colours and then never used the palette. Have had this for 4 years. Smashbox smokebox 6 shades- too dark for me. I used to use the black shadow a lot more for liner. Estée Lauder blush palette- too dark for my complexion now. W7 neutral eye palette- not used. Urban decay setting powder- too orange for me now. Smashbox contour- too orange for my skin tone, but a fantastic contour shade that lasted me for EVER. Benefit – double brow. Just not easy for me to use, I am a beginner with drawing on brows. Maybelline velvet- Again did not like the formula and tried multiple times. Milani blush- not very pigmented so ended up not using it. NYX matte lip- felt very dry and used to feel crusty on my lips EWWW. Rimmel lasting 25 hour powder foundation- only bought on holiday as waterproof and had sun protection but again not easy to use. Collection, concealer- not my type of formula and just pulled at my skin.
? Bringing back makeup reviews ? Baby updates? This post is a little different. I love reviewing books for you all, however I have to admit I struggle to keep up with a book a week to review. I just feel I am not giving to you what you have all subscribed for. I want to continue to review, promote, share books with you all as this is a passion of mine. But to include more content I was wondering if you would prefer for me to bring back some makeup reviews. The makeup reviews will just be my impression, no tutorials as I am no way a makeup Guru ( I can’t draw on brows or do eyeliner haha). I have also wondered if I bring in a new weekly post dedicated to my pregnancy. I am now 24 weeks pregnant, will be 25 on Friday. Again not sure how many of you would be interested. I want to thank you all for subscribing and continuing to follow me, I really appreciate you all – love you. Now Complete in One Volume! My name is Grace Delaney. I was born into this country’s most admired political family. When I was sixteen, the media dubbed me “America’s Princess”. I hate being called that, all the more so since I discovered the terrifying secret hidden behind my family’s glittering public image. A few months ago, I graduated from college determined to make a life of my own. But now suddenly Adam Falzon is in it. The head of an old-world family with a reputation for ruthlessness, he looks like a fallen angel. As attracted as I am to him, I’ve come to suspect that Adam is hiding secrets even more deadly and dangerous than my own. I don’t dare give into my feelings for him. But I may not have a choice. With every beat of my heart, he is drawing me further into a web of dark desire. My chances of escaping are slipping away. Worse yet, I’m no longer sure that I want to. 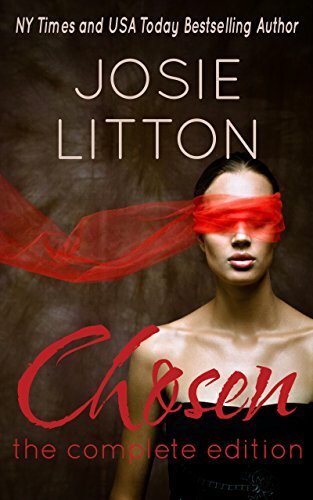 CHOSEN is a story of dark romance. It contains scenes of coercion, both emotional and physical, and should not be read by anyone who could find that distressing.